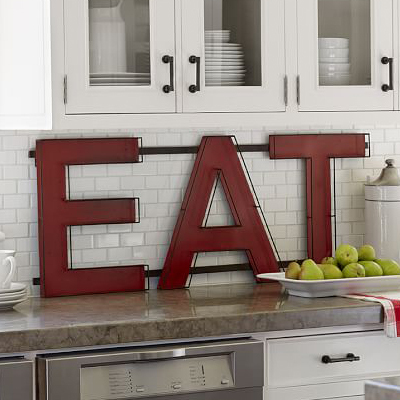 Emblazoned on a kitchen or dining room wall, this retro Red Eat Sign adds old-fashioned diner appeal to your space. $99. Buy here.